When you are after perfection in both flowers and gifts look no further, we stock an exemplary array of every day style flowers that ooze quality and vase life. 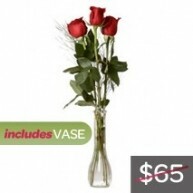 By vase like we mean that buy same day flowers from us the flowers will last and give loads of smiles for that much longer. Buy online or call us today. Be enthralled with an unlimited season of flowers coming right at your doorsteps in Toowoomba brought by Lily's Toowoomba Florist. Lily's Toowoomba Florist is the leading flower expert in QLD and has now come to Toowoomba to provide unique and stunning floral creations of Lilies, Roses, and all other flowesr in all forms and colours. 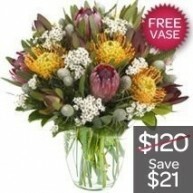 Welcome to Lily’s Toowoomba Florist! Lily's Toowoomba Florist is thrilled to serve you with speedy and on-demand flower creations the same day or pre-ordered. 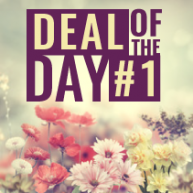 If you want to have your flowers delivered the same day, you can place your orders by 2 PM cut-off time on weekdays and prior to 10 AM on Saturdays. Here at Lily’s Toowoomba Florist, we carefully screen our partner local florists to ensure that we continuously provide farm-fresh flowers to our customers. Hand-picked and handcrafted, our flower designs are created to express, communicate, and reflect the musings of your heart. No matter how far or busy you are, our team of florists are willing to lend a helping hand so you can always connect with the people who are special to you. 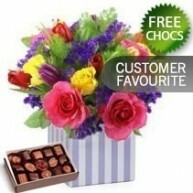 Recommended florist located at Dent St & Margaret Street, Toowoomba City QLD 4350. Together with our artisan florists, our couriers make sure that your flowers are delivered promptly and properly to your friends and family in Toowoomba. They deliver fast and they deliver the flowers in top condition. Lilies are captivating garden plants because of the diversity of its flower form, convenient season of bloom, and elegant aura. It is globally ranked to be the 4th most popular flower and are the best plants for borders and beds and most suitably used as accent plants, shrub border, and naturalized and formal pool planting. Small species of lilies can also amazingly fit an alpine rock garden. The Lily flower or Lilium is a type of perennial flowering plant that breeds large flowers with striking spots and brush of strokes on its petals. Grown from bulbs, lilies bloom with large prominent flowers with length of 2 to 6 feet in height. Lilies are also considered as significant species in literature and culture. The name lily may apply to several flowering plants but only few are considered to be a ‘true lily.’ Many species of lily are widely grown under a subtropical climate and may be grown into potted plants. Lilies may be used in woodland, patio plants, herbaceous borders, and shrub plantings. Lilies are such powerful flowers in terms of beauty and the symbolic meaning it expresses. The simplicity of each type of lily makes it more noticeable and exquisite because of the diversity and charm that lilies give. 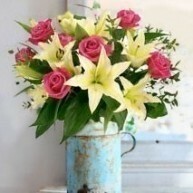 The team of Lily’s Toowoomba Florist are happy and proud to offer you our lily flower creations. 2 WRAPPED LILY STEMS. Posh and mesmerising, these wrapped lily stems are the key to a budding love story or a reconciled issue between partners. Simple but incontestably sassy. LILY POSY. This floral gift posy features 4 Lily Stems handcrafted into a wonderful emblem of sweetness and gentleness ready to entice a feeling of calmness and beauty. LILY AND ROSE BUNCH. Capture a waterfall of hearts with this combination of dreamy lilies and a blush of roses. A creative way to express your appreciation for someone who has comforted you and cared for you one way or another. ROSE, GERBERA, AND LILY BUNCH. This party of three is a sure delight to anyone who receives it. The joyful serenade of roses, gerberas, and quaint lilies will definitely make an attempt to acquire glory and adoration. Perfect for birthdays and baby showers. ORIENTAL LILY BUNCH. You will never get enough of these stargazers’ divine view. A floral gift so enchanting and fragrant that it is an easy favorite among women especially on special days like weddings. YELLOW LILY BUNCH. This is like a drop of sunshine divided into several sun-kissed lily stems. Connect, make friends and express comfort with this vibrant yellows and greens. PASTEL PINK AND LILY AND ROSE BUNCH. 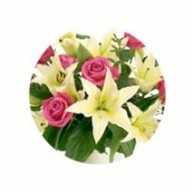 Keep love abloom with this exceptional mix of pastel lilies and roses. Now it is easier for you to say I Love You to the people who were there for you through thick and thin like your mother, who is one of the best persons you will ever meet in your life. PINK ROSE AND LILY BUNCH. Have you ever seen such beauty? This bunch of pretty rose and perennial lilies of lush pinks is the epitome of a flourishing relationship with a friend or a partner. It speaks of love, companionship, and intimacy. ENCHANTED KISS. A handful of prized Asiatic Lilies with peach roses, white carnations and sprinkle of greenery placed inside an ‘Enchanted’ glass will undeniably tame a wild heart and a raging soul. 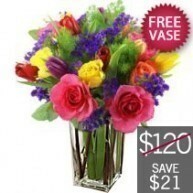 This spectacular arrangement will capture attraction from anyone who sees it. WHITE LILY AND ROSE SHEATH. Nature’s finest flowers of lilies and roses arranged in a sheath by Lily's Toowoomba Florist's skilled florists is a heartfelt tribute to a departed loved one. WREATH WITH WHITE LILIES AND PINK ROSES. Express your sympathies with a calming presence of lilies and roses designed together to comfort and console a grieving heart. ORIENTAL LILY ARRANGEMENT. This pristine view of oriental lilies are not just plain ornaments but a respectful offering for the family of a person who passed away. Pure and refreshing, these white beauties can surely console melancholy. Lily’s Toowoomba Florist delivers sympathy flowers to funeral homes and cemeteries at Toowoomba. There will be times when we cannot be hands-on with our relationships because of too much work or distance, but there is a saying that if you want something – there are many ways to get it. Lily's Toowoomba Florist believes that. 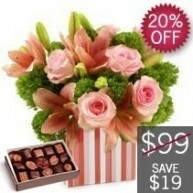 Send flowers to connect with an old friend, wish someone to get well, or rekindle relationships. If you have family, friends, or acquaintances in Toowoomba whom you would like to reach out to, you can guarantee that Lily’s Toowoomba Florist will help you get through because we know that flowers can make a big difference in someone’s day. 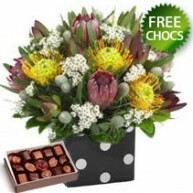 Visit the Lily's Toowoomba Florist website to find the perfect flower gift for your special someone by simply using your smart phone or desktop computer. Lily's Toowoomba Florist's flower creations are designed to communicate your get well wishes, holiday greetings, and sincere sympathies to people you care about. 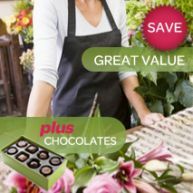 You can use our flower finder to help you pick your preferred items but if you are a bit confused on what to specifically order, you can call us for advice, queries, customisation requests, and phone orders. After ordering, you can immediately process your payment via credit card or Paypal. Our website is safe and we guarantee protection of your personal data from any third-party access. Lily’s Toowoomba Florist delivers to all your preferred locations in Toowoomba including suburbs namely: Cranley, Harlaxton, East Toowoomba, Drayton, Newton, Mount Lofty, Rangeville, Newtown, South Toowoomba, Redwood, and Toowoomba City. No matter where you are, you can count on us to deliver your flowers with much ease and harmony because Lily's Toowoomba Florist always want you to feel special and important. 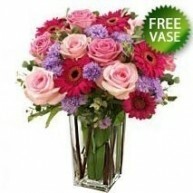 Let us join you in bringing out the positivity and charisma of timeless art such as flowers. 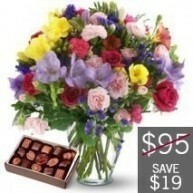 Order now and let us make those thoughts of well wishes magnified with flowers. Welcome again and have a happy floral day, flower shopper!